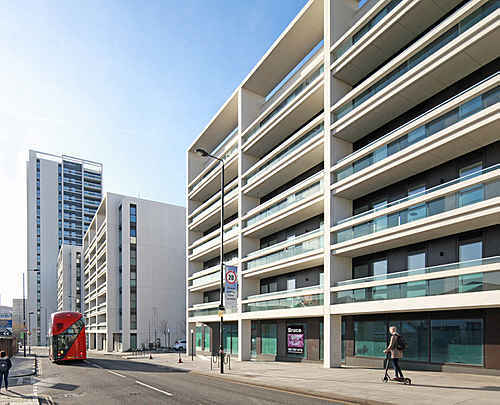 Chobham Manor is the first Olympic legacy neighbourhood to be developed in the Queen Elizabeth Olympic Park. 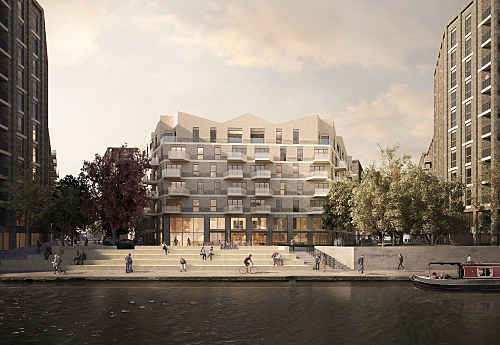 It will provide over 800 homes modelled on London’s traditional family neighbourhoods. 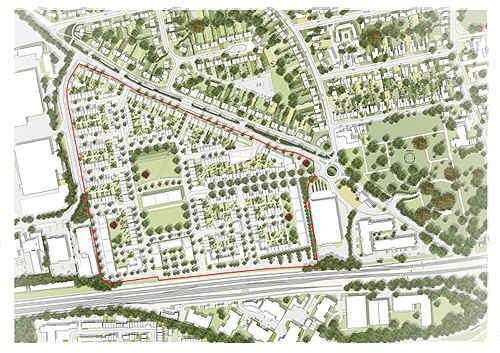 Phase one was delivered entirely by PRP with the practice designing several parcels that utilise and integrate a variety of housing typologies. 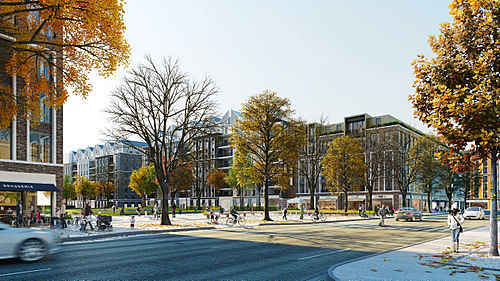 These include traditional terraced homes, mews, multigenerational homes, three and four storey townhouses (with on plot parking and a sun-deck) and apartment buildings, one fronting the Veloplaza. All homes benefit from generous private outdoor space. The multi-generational home is a new housing typology developed by PRP that is a connected flexible home for extended families who want to live together, while retaining a degree of mutual independence. The corner apartment blocks are four storeys, one with commercial use at ground floor. The Veloblock has a retail space on the ground floor with a 'spill-out' area along its frontage. Duplexes and penthouse occupy upper floors and are dual aspect with a view of the Velodrome from private balconies and roof terraces. 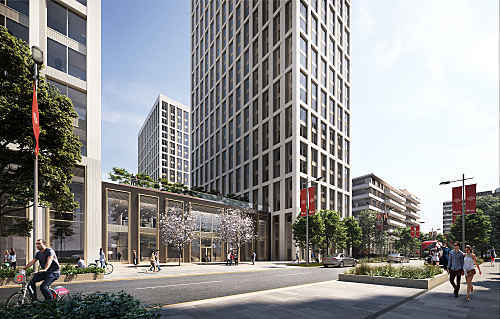 At the heart of the first phase, ‘The Green’ provides a place for local residents to play, sit and relax in diverse landscaped space, which is rich in biodiversity.